Enjoy the top 59 famous quotes, sayings and quotations by C.J. Redwine. 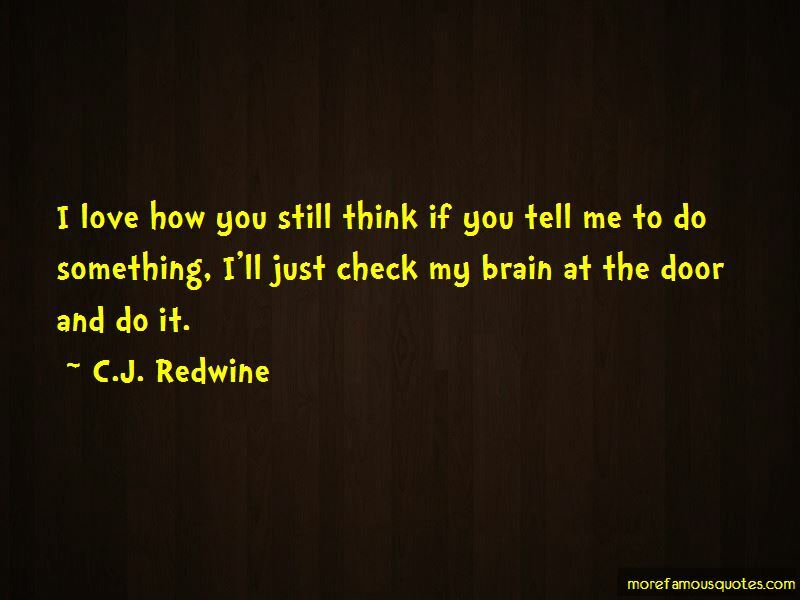 I love how you still think if you tell me to do something, I'll just check my brain at the door and do it. Silent acquiescence in the face of tyranny is no better than outright agreement. No matter what has happened. No matter what you've done. No matter what you will do. I will always love you. I swear it. “I'm no longer a daughter. No longer a girl with dreams. With hope. “Remember, sometimes diplomacy is the better side of warfare." He pulls me to a stop in front of a stall selling steaming hot stew of beef an onions. "Two please." "It's too expensive," I whisper to him, even though I know he won't listen. he treats me one of his wide, gentle smiles, his dark eyes shining. "Who else am I going to spend my money on? 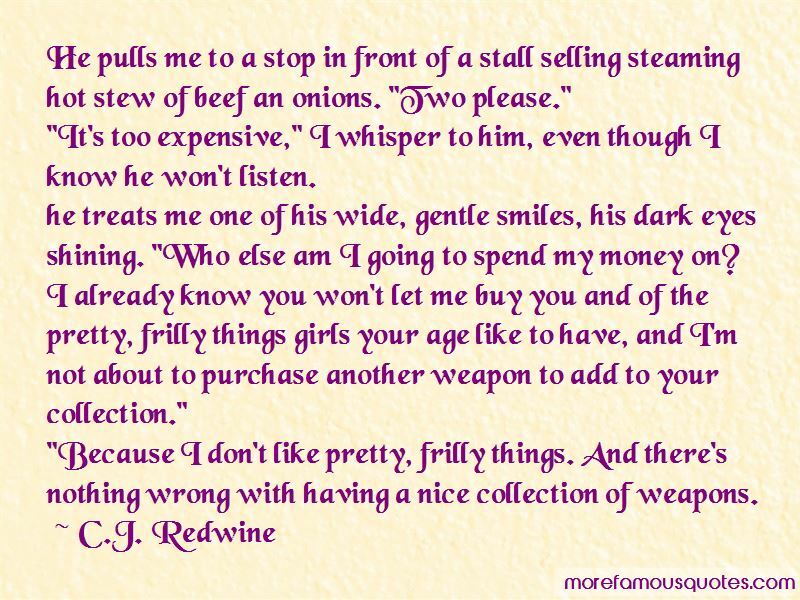 I already know you won't let me buy you and of the pretty, frilly things girls your age like to have, and I'm not about to purchase another weapon to add to your collection." "Because I don't like pretty, frilly things. And there's nothing wrong with having a nice collection of weapons. Maybe that's what love is. 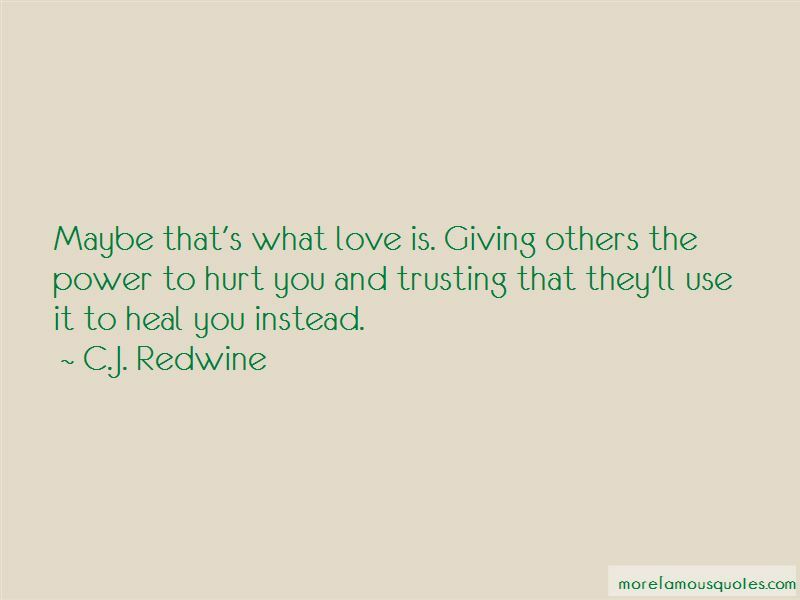 Giving others the power to hurt you and trusting that they'll use it to heal you instead. Tears aren't for the people we've lost. They're for us. So we can remember, and celebrate, and miss them, and feel human. “Please tell me you're not that stupid. “I need you, Logan. Just you"
I tighten my grip on her tunic. "Why?" "Because I still love you." Her voice catches. "I never stopped. I thought I had. I wanted to. But somehow .. it's like a part of you lives inside the most important part of me, and I don't know how to separate the two." Tears spill over, tracing a glistening path down her cheeks. "I love you, Logan"
That's not what he meant," Rachel says again, pink flushing her cheeks. "Actually, I meant-" I start to say, but Willow cuts me off. "What? It's true. He looks at you like he'd like to dip you in sugar and eat you up. 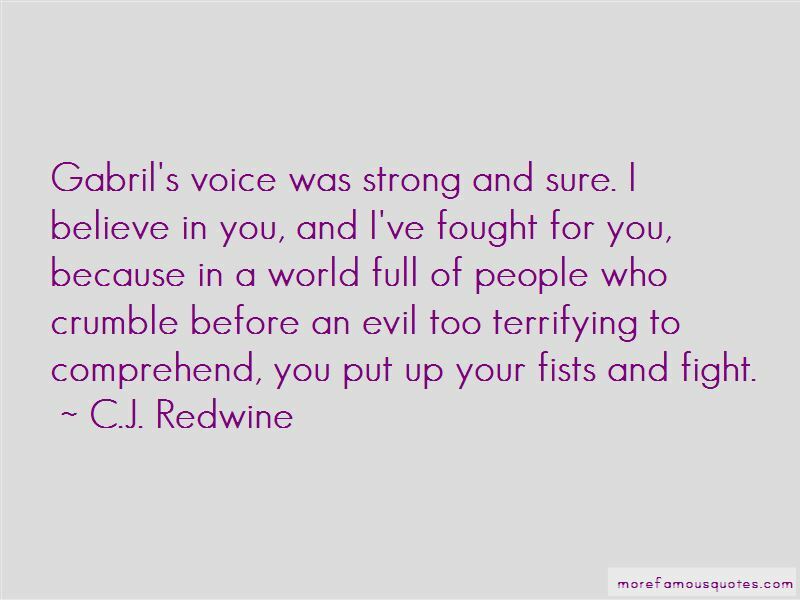 Gabril's voice was strong and sure. I believe in you, and I've fought for you, because in a world full of people who crumble before an evil too terrifying to comprehend, you put up your fists and fight. Because on some basic, soul-deep level within me, he is the solid ground beneath my feet. “Sylph and Jodi return to my side, each carrying a cloth sack full of chickweed. I wrap my arm around Sylph's waist and give her a quick squeeze. "Lesson's over for today. I have something to discuss with Logan." "Sounds serious." Jodi wiggles her brows at me. “My bird can drive her break straight through your neck and into your artery in less time than it takes for you to draw a weapon, and she already dislikes you intensely. If I were you, I'd do my best not to antagonize her further." "I thought the bird obeyed you." “I'm not a threat to you or Kol." "Tell that to Trugg. You just sent him into a wall." Her skin was as white as snow, her lips as red as blood, and her long hair as black as ebony. “What could be worse than death?" The courier of wolves the daughter the dance. “Of course, I believe most of the older noblemen are actually bringing their sons - only ones eligible for marriage, of course - to dance with me. The consensus seems to be that I would make a pretty good catch. You aren't going to marry a boring nobleman's boring son. No, because if one proposes to you, he'll be eaten by morning. Dragons have very healthy appetites. Talking to her is like coming home and finding the furniture in every room rearranged. The same pieces are there, the same sense of comfort, but nothing is exactly the where you'd expect. I'm bleeding inside where no one will see. Where no one will ever know to look. Make sure the man you choose sees you as you truly are and loves you for it. A muscle in the Commander's jaw jumps, and he levels his fierce glare on Willow. "You have a big mouth." "I need a big mouth to keep up with my big brain. The best way to punish a good deed is to announce it to everyone else. Want to see more pictures of C.J. Redwine quotes? Click on image of C.J. Redwine quotes to view full size.